Those of you with technical backgrounds will know all too well why this would help. On balance though, the decompression schedule might be a bother, particularly if the meeting was ‘spirited’. Cue the awkward silence. As we tackle the challenges of the day, do we really have meetings which aim to settle some points, make some decisions and push the project forward? Or are we using the meeting minutes as a big list of things we don’t know? Even the best planned technical meeting has it’s challenges. Firstly, we need to bring stakeholders who are outwith the core design or project team up to speed very quickly. The clock is ticking. This meeting is expensive. In some circumstances attendees won’t all be technical people, so a 1″ pile of A3 paper with cross-referenced information, exploded views and call-out boxes may be doing more harm than good. When you ask such people if they’re ok to move on, do you get a vague nod? Might there be a blank expression in there somewhere? Thought so. We don’t live in 2d, but designing in 2d was the only option for early designers. 99% of modern design is held in a 3d format, but when we want to discuss it, we print out a stack of paper and revert to a system which is inherently more difficult to grasp. Secondly, we need to be sure that everyone is on the same page, literally. With 20 people looking at 20 different pieces of paper, this can be another challenge. Miscommunication and misalignment can only cost us in the long term. With a single view of a 3d environment (thrown up onto the big 50″ screen you added a few years back), there is only one view. Prefer the goggles? Try not to, that would be silly. They’re for personal views not collaborative, and have no place in the boardroom. The environment used however, is precisely the same. The next step is making the view manipulable by all members of the discussion. They can move the point of view to clear up their difficulty. See things in a manner which makes sense to them, whilst all the time ensuring that the view point remains cohesive. So what hardware do we need? In some cases, nothing at all. If the PC in the cupboard is a decent specification (comparable to those you give your designers) then that’s good to go. If not, a simple upgrade of the graphics card might suffice. To control the environment, we use one of the more recent additions to the meeting room – the mouse, (although a team with a younger average age will insist on a game controller to make things more simple). Now we have a collaborative view. We can adjust and zoom as we see fit. Turn things around and look inside them. We can take measurements, answer questions, increase comprehension and reduce the content of the ‘list of the things we don’t know’. Where will the data come from? You probably already have it. Your 3d assets can be imported, and can be laid out in a representative fashion if helpful. 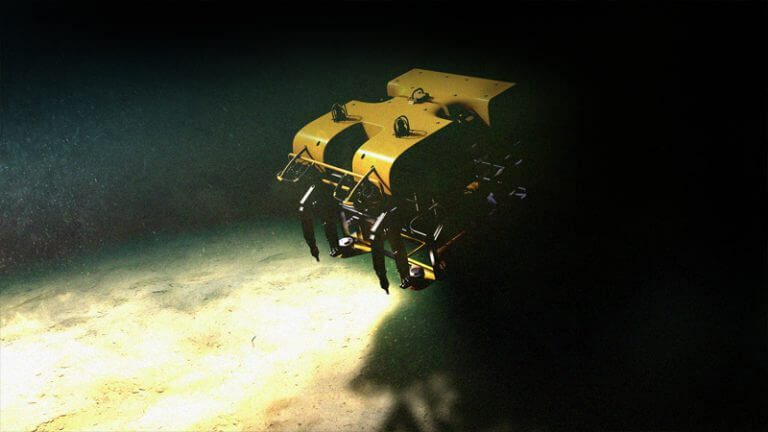 You can submit your latest as-left ROV survey and have the still images turned into a 3d model that puts you subsea. Order a 3d scan, order a custom design. So we have the tools we need, yet we revert to an archaic system of review and discussion which can potentially come back to bite us. This is ok though, it’s how Noah design reviewed the ark.